These days, looking for styling inspiration is made easy with the presence of the Internet. Many fashion lovers look for inspiration in their favorite beauty and fashion portals, online magazines, blogs and other sources. Personally, I take everything as inspiration for dressing up. Sometimes I consider my mood as an inspiration, especially if I just watched my favorite Korean drama or Hollywood movie. If I want to show off a certain look, I also check the color combination. Obviously, I plan ahead so I can check my resources for the look. 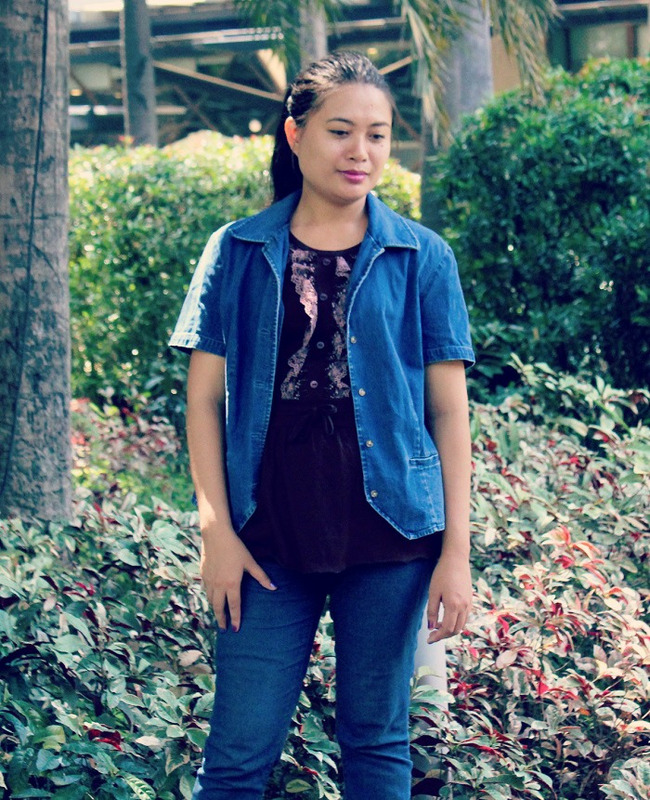 Here, I chose denim on denim as I just finished watching the YouTube channel of my favorite style icon. Since I have second-hand denim coat and a pair of Forever21 jeans, I decided to give it a try. It's so comfortable and easy-to-wear so I really had fun strolling in the park. To add a bit of height, I preferred to wear a pair of black wedges by Rusty Lopez. Do you like denim on denim look? Let's talk about it in the comments below. If you like my blog, Follow me on Instagram, Twitter and Like my Facebook page. You can also check my official site, Karence Lopez. Good luck.